The expanding role of the pharmacist in line with the existing role of the pharmacy in the community increases the demand for trained and certified pharmacy technicians. Under the direction of a registered pharmacist, technicians receive and interpret prescription orders, package and label medications, maintain patient records, manage medication inventory, bill and credit patients, compound medications, prepare sterile products, and perform data entry. 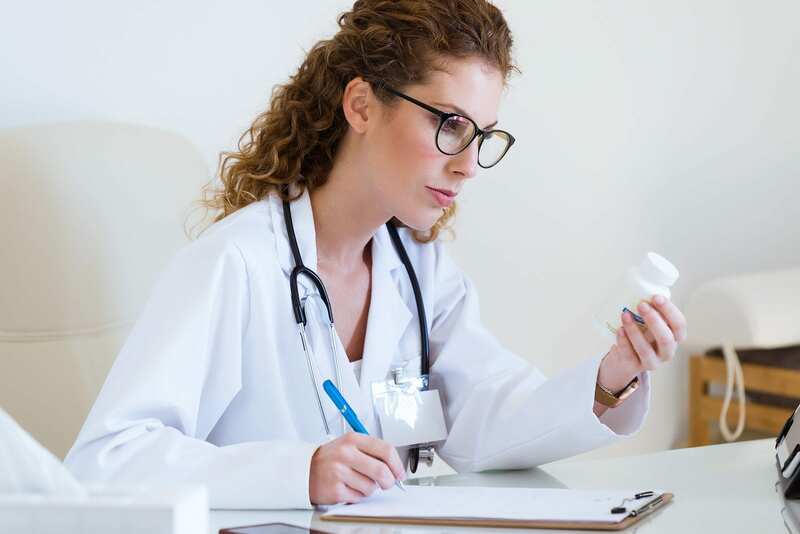 Pharmacy technicians work in various pharmacy settings, including long-term care facilities, hospitals, community pharmacies, clinic pharmacies, mail order pharmacies, and drug wholesalers. As pharmacies extend the volume and range of services offered to consumers, the job prospects for technicians will remain positive, as competent workers are needed to relieve pharmacists of mundane duties and give them the freedom to perform patient counseling and other services. According to the Bureau of Labor Statistics, the job outlook is projected to grow 11% between 2016 and 2026. The median annual wage for technicians in Illinois was $32,200 in 2016. Adults enrolled in pharmacy technician programs in the state, must secure a pharmacy technician license before commencing the pharmacy externship incorporated in most programs. The issuance of a pharmacy technician license requires completion of a background check, fingerprint check, and drug screen. The ASHP/ACPE-accredited pharmacy technician program at South Suburban College gives students the opportunity to learn aseptic IV preparation, inventories, compounding, and medication order processing. They also learn the use of the prescription balance, pharmacology, pharmacy law, pharmacy math, human body structure, and medical terminology. Graduation from the program requires completion of 39 credits including prerequisites. The school also offers a 6-credit alternative that is an abbreviated format of the certificate program but is not intended to replace the ASHP accredited version. Graduates of the certificate program can take additional coursework to achieve an Associate’s Degree in General Studies. The program admits new students each semester, and part-time and full-time options are available. Apart from classroom modules, students must complete 300 supervised hours of practical work multiple pharmacy settings, including community and hospital pharmacies. Students who are employed at a pharmacy during the course will receive credit for towards completion of the internship requirements. Internships are typically scheduled for daytime shifts. Tuition costs $145 per credit for in-district students. Triton College provides a clinical externship training opportunity for adults who have completed pharmacy technician training. The externship covers 90 hours of supervised hands-on practice at a pharmacy. A separate pharmacy technician program, comprising of 75 hours of theory, includes preparation for employment in various pharmacy settings. Students will receive preparation for success on the PTCB exam. Students will learn the role of the pharmacy technician, basic physiology, mathematical principles, pharmacy law and ethics, pharmacology, pharmacy abbreviations, prescription processing, disease states, hands-on compounding techniques, and generic medications. During the clinical experience, students will learn how to prepare insurance claim forms, prepare and label medicines, issue medications, take inventory of medications, maintain patients’ medication profiles, and compound medical drugs. Morning and evening sessions are available. The average duration of the class is 8 to 10 weeks. Tuition costs $1,200 plus costs for registration, textbooks, and technology fees. The 50-hour pharmacy technician program at Harper College prepares students for success on the PTCB exam. Students learn basic skills that will enable them to dispense medication under the supervision of a licensed pharmacist. They learn medical terminology specific to pharmacy practice, generic and brand name drugs, IV flow rates, dosage calculations, dose conversions, dispensing prescriptions, billing and reimbursement, and inventory control. Applicants must be comfortable performing basic math calculations and have good communications. Tuition costs $1,449. The pharmacy technician program at the College of Lake County is designed for adults who are interested in a career as a pharmacy technician. Pre-pharmacy students and those seeking to strengthen their healthcare skills may also enroll in the program. Course topics include medical terminology, pharmacy law and ethics, dosage calculations, dose conversions, billing and insurance, inventory management, generic and brand name drugs, and IV flow rates. The program is delivered in hybrid format with 21 online hours and 84 classroom hours. The cost of the training is $1,499 and does not include the required textbooks and fees.